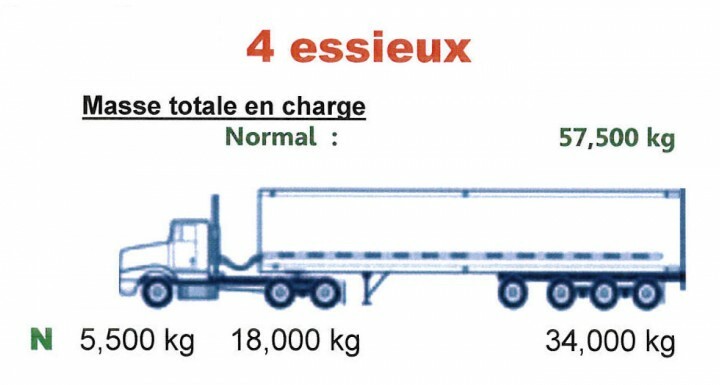 500 kg for EACH axle of a group. 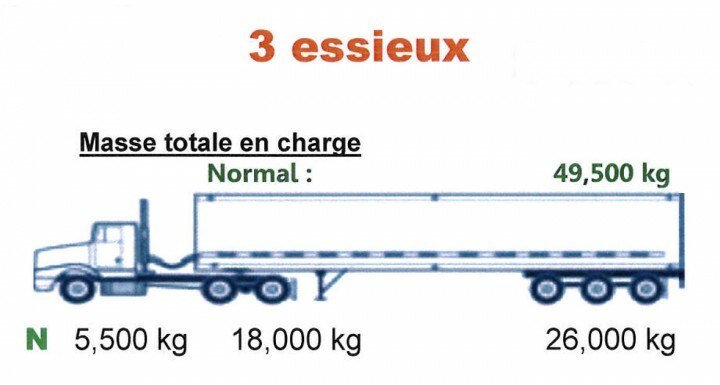 For example, 2,000 kg for a group of 4 axles. 1500 kg on the gross weight, 1 000 kg for a 6-wheel truck. 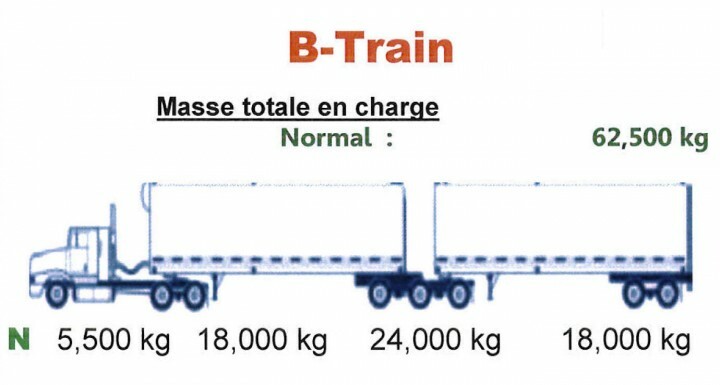 -> PARTICULAR CASE: B- TRAIN The general tolerance applies to this configuration, i.e. 500 kg per axle of a group of axles and 1500 kg on the total mass. The permissible gross thaw mass is established for this case also by adding the permissible thaw loads for each of the B-axle categories. 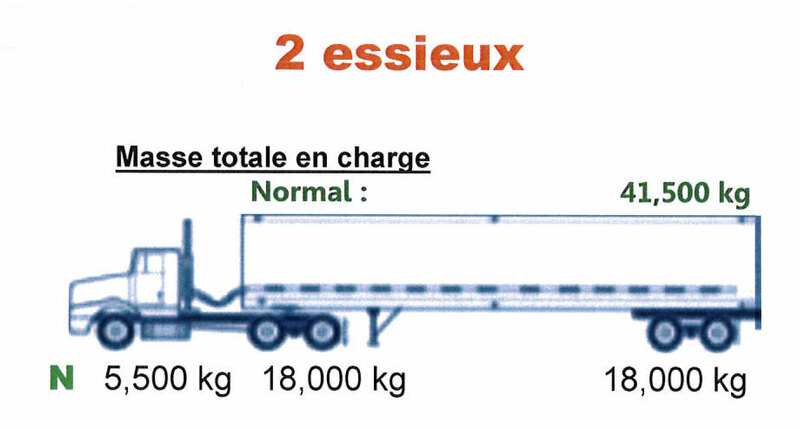 Moreover, during thaw period, an additional tolerance of 1000 kg is awarded on a tridem, B.32. category. However, this tolerance does not have the effect of increasing the tolerance related to the total mass under load.